In this dual biopic, Julia Child's story as a 1950s cookbook author is intertwined with blogger Julie Powell's 2002 bid to cook all 524 recipes in Child's debut book in a year. 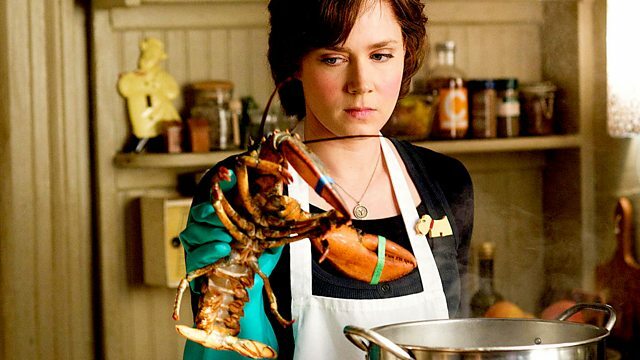 In this comedic dual biopic, Julia Child's story as a 1950s cookbook author is intertwined with blogger Julie Powell's 2002 attempt to cook all 524 recipes from Child's debut book in one year. Julia Child became a national celebrity when her debut cookbook Mastering the Art of French Cooking brought French cuisine to American housewives in the 50s. Later, in 2002, aspiring New York writer Julie Powell decides to cook all 524 recipes in 365 days and write a blog charting her efforts. Her obsession certainly tests the patience of her husband, but her determination to complete the mammoth challenge remains solid, with all culinary triumphs and kitchen disasters committed to the web along the way. Composer: Stéphane Grappelli. Performer: 8½ Souvenirs. Composer: Tay Strathairn. Performer: Henry Wolfe. Composer: Jule Styne. Performer: Margaret Whiting. Meryl Streep was nominated in the Best Actress category at the 2010 Academy Awards for her role in Julia & Julia.